Remember Steam Machines? Valve’s console-style gaming PC rigs meant for the living room felt like they might revolutionize gaming when they were first announced. A few years later, they’re mostly forgotten. Even Valve is ready to turn the page on that chapter: It recently removed them from the front page of Steam. Since it seems like they’re over and done with, let’s take a look back at the history of Steam Machines. Up until recently, Steam Machines were listed as one of the entries on the drop-down menu of the Steam store’s hardware section. Now it only lists the Steam Controller, Steam Link, and HTC Vive. The stealth change was first noticed by the fan site Gaming on Linux, which posted about it last Friday. Ars Technica did some digging through the Wayback Machine and surmised that the change went into effect somewhere around March 20, meaning it took over a week for people to even notice. The outlet also points out that where Steam used to have a dedicated hardware page, with Steam Machines featured prominently, the same URL now just takes people to a search results page. While the devices are still listed on the site via direct link, and you can still buy them, it’s a reminder of a PC gaming future that never came to pass despite Valve’s best efforts. September 2013: Valve’s announcement FAQ says Steam Machines will be available to purchase starting in 2014. October 2013: Valve shows off the specs of its test units, the high-end of which is composed of parts that put it in the ballpark of a $1,700 PC. November 2013: Valve says it is crowdsourcing Steam Controller button configurations and testing tons of different weird looking prototypes. January 2014: Valve unveils a starting lineup of 14 different Steam Machines ranging in price from $500 to several thousands of dollars, available in all different boxy shapes, sizes, and colors, at that year’s CES. 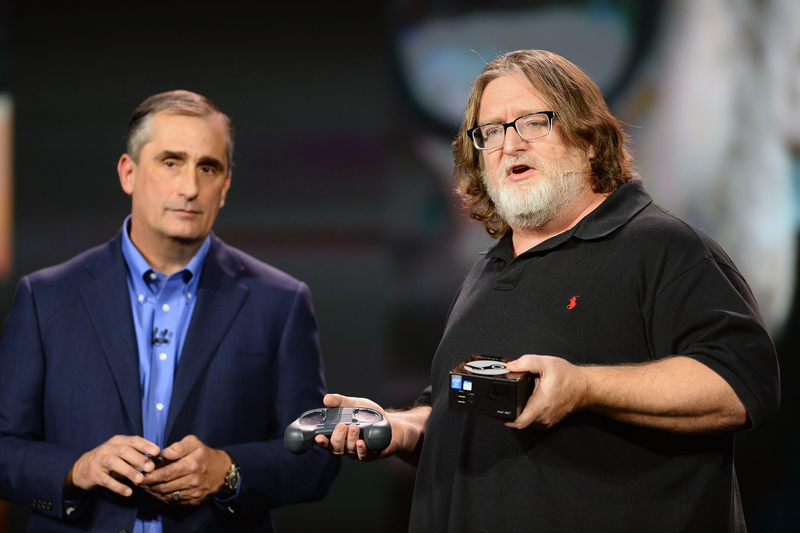 “Right now they’re just saying this is the best thing since, you know, the beginning of time or something,” CEO Gabe Newell said about beta tester feedback during the presentation. March 2014: The Steam Controller continues to get reworked, ditching touch screens for real buttons, and images of several slightly different configurations travel from one end of the internet to the other. November 2014: Alienware Alpha, originally marketed as the flagship Steam Machine, ships review units with Xbox 360 controllers because the Steam Controller still isn’t done. While powerful for the $550 price tag, it’s still a bit overcomplicated to replace traditional video game consoles, leaving people underwhelmed. March 2015: The Steam Controller gets a finalized design, and Valve says Steam Machines will ship November of that year. June 2015: Valve opens up pre-orders, but only for select Steam Machines. 2016: Valve pivots away from talking about the project almost entirely. January 2017: A commenter in Gabe Newell’s AMA Reddit thread asks if Steam Machines have been abandoned but receives no response. While the idea itself remains alluring—there’s still something to be said for the idea of combining power and efficiency of PC gaming with the cost-effectiveness and simplicity of a gaming console—it’s clear Valve has moved on to other projects like VR and card games. The Steam Link, which Valve occasionally puts on sale for $1, appears to have filled the demand for those who want to link their gaming PCs to the living room television. “We’ve noticed that what started out as a routine cleanup of the Steam Store navigation turned into a story about the delisting of Steam Machines. That section of the Steam Store is still available, but was removed from the main navigation bar based on user traffic. Given that this change has sparked a lot of interest, we thought it’d make sense to address some of the points we’ve seen people take away from it. The post goes on to discuss the company’s various Linux-based projects. Where Are All The Steam Machines?